Sarah truly believes yoga is for everyone and thrives on the challenge of bringing it into new settings. For anyone who says “I can’t do yoga,” Sarah will gently and intelligently lead them into a yoga practice that is right for them and foster better communication with their bodies, and ultimately their mind. Workplace Evolved is the ideal endeavor for Sarah to blend her expertise in designing corporate wellness programs, her dedication to the practice and teaching of yoga, and her passion for creating positive changes in people’s lives. 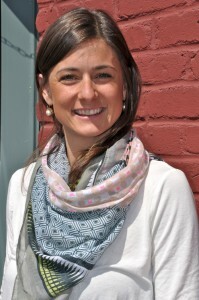 After receiving Bachelor of Science degrees in Health Psychology and Human Development at the University of Vermont, Sarah became a strong believer in the mind and body connection. Using this awareness, she designed and implemented wellness programs in corporations based on her extensive research. Through this work Sarah saw first hand the value of improving the overall health of employees—both for the employees and their families, and for the health and wealth of the company. Sarah believes yoga is a critical part of wellness programs for workplaces because it strengthens the body, the mind, and the connection between the two. The positive effects of yoga and Sarah’s passion for the practice bring her to her own mat every day. Her dedication to yoga has taken her across the country and abroad, teaching, training, and running retreats. Through her travels Sarah not only completed four major trainings but led trainings for new teachers. Inspired by the idea that anyone can do yoga, Sarah turned her studies to therapeutic yoga, which allows her to teach yoga to cancer patients in hospital settings. Whether through her yoga students or through bigger wellness programs, Sarah is constantly inspired by the positive effects of creating health habits, behavioral change, and mind/body awareness. Sarah loves hearing from her students about decreased stress levels, vanishing migraines and lower back pain, improved sleep patterns, better moods, improved relationships, happiness, and overall improved health and fitness. Sarah is dedicating her life to creating positive changes for everyone, and Workplace Evolved is honored to have her on the team. In Sarah’s yoga classes, her dedication to the practice is both evident and contagious. Sarah’s classes have a strong emphasis on traditional yoga and mindfulness practices, and yet offer space for playfulness and exploration. Sarah’s six-years of teaching experience, combined with her lighthearted and approachable personality makes her teaching style accessible and welcoming to all. 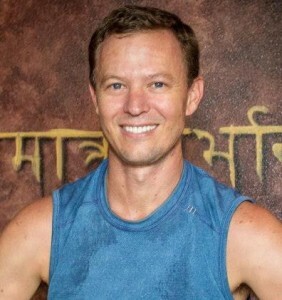 In 2007 Kiayan Reuter made a life-changing decision to leave a stressful and competitive career in post production to pursue yoga. She realized that the most effective way she’d found to calm her stress and connect with her inner peace was through her yoga practice. Kiayan knew that if yoga could make such a positive shift in her overly stressed life, then it had the power to impact everyone. Kiayan completed over 500 hours of classroom training through Yoga Works Los Angeles , along with countless hours of personal studies. In addition to teaching, Kiayan now manages several studios in Denver. As a manager, Kiayan experiences first-hand what it’s like to lead teams of people through her vision and values. In stark contrast to her work as a post-production producer, the work environment she creates is one where everyone is heard, encouraged and empowered to be their best selves. By nurturing her team, Kiayan is able to be effective and her team is more productive. With Kiayan at the helm, more gets done with less stress. She’s the perfect fit for WE! Kiayan believes yoga is not about handstands and backbends, it is about embracing where you are in life and setting an intention for where you want to go. Kiayan offers mindful yoga classes that emphasize breath, body-awareness and balance. She offers her students tools to maintain the calm and peace that yoga offers, even when things are hectic at work. Because she understands a hectic workday, Kiayan especially loves teaching corporate clients. She loves to witness employees decompressing stress and tension from their bodies. Kiayan is eager to share this gift with more and more workplaces. Kiyomi began her career in San Francisco & Los Angeles in both recruiting and HR roles connected to Japanese companies. Her working hours spanned time-zones and her stress-levels impacted both her body and mind. When Kiyomi found yoga, she also found relief from all her stress-related symptoms. Surprised, excited and relieved, Kiyomi began her exploration of yoga and her transition to bringing health and wellness to others. Kiyomi is committed to uplifting everyone with whom she connects and is honored to share the beautiful teachings of Yoga. She is a Yoga Alliance E-RYT 500hr level Hatha Yoga Teacher, an IKYTA-certified Kundalini Yoga Teacher, and a certified Yoga Therapist (LMU). She’s known for her precise guidance, warm encouragements, and as-needed modifications in a supportive and light-hearted environment. Kiyomi’s intention is to support each person’s vitality, so they can bring forth into the world their unique light and gifts. Kiyomi teaches classes and workshops at yoga studios such as Yoga Works and Golden Bridge, and businesses in Los Angeles through Workplace Evolved, and to large groups at festivals, as well as privately at her home studio. After 15 years in the intense world of advertising, Patrick Montgomery, RYT 500, now dedicates his career to helping people find access to their best selves. He has taught teacher trainings, workshops, immersions and public classes in Denver, Boulder, Sydney and Bali. He is a former certified Anusara® teacher and has studied extensively with Ashtanga and Iyengar teachers. His classes are not designed as an escape from the hustle of our days, but rather as a place to build skills and virtue for both work and personal lives through mindfulness. His teaching style is precise and poignant, with intelligent sequences that lead students to progress both in their practices and in life. "...control my reactions to stresses"
How easily I forget that my brain still thinks every stress is a life or death situation. That alone is a reason to control my reactions to stresses that, in the grand scheme of things, aren't worth taxing my body!